It’s interesting to observe how different airlines approach boarding. Not only are there cultural differences across the globe (just observe boarding in the US vs. Japan), but even within regions some airlines have vastly different boarding procedures (look at American vs. Southwest). In most of the world, boarding is relatively straightforward. You typically have one lane for priority boarding, and then non-priority passengers are boarded by zone, seat number, etc. What I can’t quite wrap my head around is just how many priority boarding groups some US airlines — especially American and United — have. Let’s use American’s boarding process as an example. American has a total of nine boarding groups, and five of those are considered “priority” groups. Those nine groups don’t even include everyone, as Concierge Key members are invited to pre-board. So for all practical purposes there are 10 boarding groups, and six of those are priority. I don’t understand the logic of this kind of process on so many different levels. The way I view it, the benefit to boarding early is being sure you can get space in the overhead bin for your bags. Is there really a fear that any priority passenger won’t have overhead bin access? 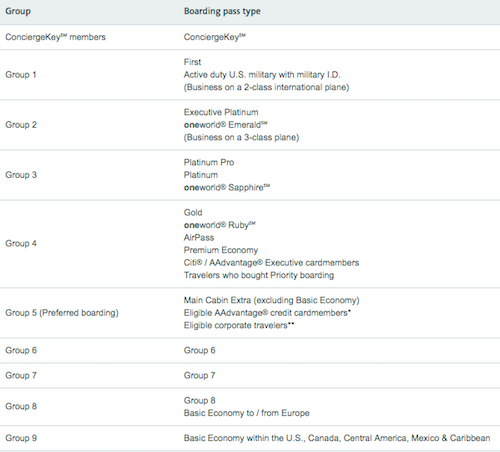 So why does American have six priority boarding groups? Well, I think ultimately it comes down to elite ego stroking, and I sort of get their logic. People love to feel “elite” when they fly, and this contributes to that feeling. They want to encourage people to go through the ranks. Creating so many groups gives people more to strive for in life. 😉 Man, if I just spent an extra $40,000 per year on American, I too could board before first class. Tempting! My real issue with having so many boarding groups is that I feel like American isn’t actually consistently able to deliver on what they’re going for (which is true in so many areas of their operation). Realistically, the only way they could efficiently board priority passengers in six different groups is to create six different lanes for people to wait in. Instead they have just two lanes for all passengers, with one lane being for Groups 1-4, and the other lane being for Groups 5-9. It’s interesting to see how often US airlines try to modify their boarding processes to optimize them. I trust that in a test environment their processes probably check out, but those don’t factor in the real life conditions that gate agents deal with. It’s ironic to me that on one hand airlines are always talking about how they want to reduce turn times and make things more efficient, but at the same time legacy US airlines take more time to board planes than just about anywhere else in the world. Personally I’d be happy if US airlines offered a single priority boarding group. Or heck, break it up into two groups, and put first class and some elite members in one, and lower tier elite members and co-brand credit card holders in another. But to have so many boarding groups just seems inefficient to me. I’m curious how you guys feel about priority boarding — do you like airlines creating a bunch of priority zones, or would you rather see it simplified? So here I am waiting to board my AA flight in Group 3 and I agree that Boarding is a total cluster F.
I think you are correct in concluding that earlier boarding is FOR getting your bag up but wrong in concluding that all elites can get their bag up. There are frequently flights where Zone 4 (Gold) and Zone 5 (Credit Card) do not. There are often flights where Platinums are putting their bags in rows behind their seats. That’s why you see elites doing the gate lice dance especially on flights with upgrade lists of 50+. I am hoping the new overhead bins will help. Gate-lice are indeed an issue. For BA at Heathrow there are now 5 lines for the 5 groups where practical so it’s getting better — and they did it after listening to customer feedback. But at outstations it’s often 1-3 and then 4-5, so the priority line is very crowded. The problem with having so many boarding groups is the chaos it creates. Doubtless you and everyone else reading here observed dozens of times boarding in Europe and Asia is so much easier: if you are first or business go here; everyone else go over there. My most recent two AA flights once again underscored the overly complex AA system: people in groups 5 to 9 start to line up at the stanchion for groups 5 to 9, only to find out after 1 to 4 have boarded — which takes so much time because they have to call out a bazillion different entitled groups of which I am no longer one 🙂 — that they’ll be boarding 5 to 9 through the same lane where people who did not line up are crowding the area waiting to board with their basic economy boarding pass. On FlyerTalk people talk about the “gate lice” … rather than a therapeutic shampoo this non-solution just made the lice spread more. As a PP elite based in PHL, I far prefer Americans boarding compared to United or southwest. I hate the idea of having to line up. It makes me feel like I have to be at the gate 10-15 minutes early if there is a line, whereas I feel reasonably good that with AA, I can show up a few minutes early and board with group 3, no problem. I agree it can seem unorganized at the gate, but united’s Lines seem awful to me. I just wish that the gate agents would stop saying “pre-board” when they should be saying “early boarding” or “board early.” Pre-boarding is what you’re doing when you’re waiting to board the plane. As for all of the boarding groups and ensuing boarding chaos on AA, those are two of the many reasons that I gave up my EXP on AA and switched all of my business to DL three years ago. DL isn’t perfect, but their staff is much more consistent in following prescribed procedures. I prefer Delta’s system: queue up points for first and comfort+, followed by a point for priority and then a couple of standard coach groups. AA’s attempt to organize the crowd prior to boarding just doesn’t work. Love the physically separated lines that southwest and delta (large airport) are doing. No questions, no argument, no pushing showing. I’ve never understood the need for all those groups in the US. European and Asian carriers only seem to have one or two priority boarding groups, which seems much more efficient. I feel that boarding usually goes a lot faster with fewer groups? I think Delta is just as bad and less honest. At least with AAs crappy system you know your a number and how far you are down the chain. Easy solution is to charge for carry on and make checked baggage free. Your bias is almost pathetic at this point. UA has the fewest boarding groups among US3, and yet somehow you name them and not DL and their new 50 shades of purple boarding chart. Apparently straight up integer math is spin worthy. Everyone wants to board as early as possible in order to get overhead space. But let’s discuss the real issue instead of having 8 boarding groups. People putting oversized carry on bags up top. Along with their personal item, their purse, their jacket/coat, their dog (too soon? ), and sometimes their bedding/pillow from their seat since United likes to put all of that plastic wrapped Polaris junk at your seat before boarding and now people have no place to put it. There is no overhead space because people abuse the fact that bag sizes/personal items aren’t visually checked anymore. If you check in through your mobile or a kiosk, who is checking your bag size/personal item? Nobody. Some personal items are like another mini suitcase. Hence why when I sit in 24D, my bags are back by 28C. Lucky, I’m not sure you’re considering United’s new boarding order. Gone are the five lanes, and boarding is now much more streamlined with just lane 1 and lane 2. As an exec plat with American I agree. I normally just carry on a small under the seat bag so I refuse to fight the masses to board with Group One. I just wait until the final boarding call as…why do I need to be on a plane for any longer than is necessary? United though actually has the most sane process. And it discourages people from congregating. The worst though is LATAM. My god, it’s a free for all. What makes it worse is when American starts the boarding process 15 minutes early, so people in early priority groups.l show up when the rest of the plane is boarding. Delta is close to getting it right – Effectively four groups, First/Comfort +, Sky Priority, Main Cabin 1 (which includes credit cards and Silver) and Main Cabin 2 (basically everywhere else), with dedicated waiting areas for each. The most annoying is you pay for economy comfort, or get 1st, to find some one coming on board just puts their two carry on,s in it. so others abit later have to place rheir carry on,s further back, and when deplaning, it causes hold ups.I think its not too bad, gtheboarding process. Assigned seat row 8, paid extra. Overhead bin available in row 27. American Airlines allows anything carryon, including a large scateboard. Its whole boarding process is ridiculous . Delta is testing a hybrid thing at ATL. You pre line up like WN. But by group rather than position. Each group gets called at a time and no more extra priority lane. The Pro: DL saves money by having 1 gate agent. The Con: It’s a mess if you missed your priority boarding group, especially ATL size many times you arrive to the gate after boarding started. No system works because passengers don’t follow it. They board disabled and families of course, priority first, then from back to front, it accelerates boarding and de-stresses by preventing backing up into the Jetbridge. People enjoy the process much more as opposed to boarding front to back. Granted AA has premium economy which should be group two but from there on could be back to front eliminating the need for up to 8 groups instead having three for regular economy in the back, four for economy in the front, and five for basic economy with separate boarding lanes for each like UAL. At the same time, I don’t really see a problem with it. When a gate agent does their job well, boarding generally happens fairly efficiently. I think it’s more a cultural thing – how we do lines here in the US. There are just a lot of infrequent travelers and when boarding starts, they line up near the gate and it is what it is. Hell, Southwest technically has like 15 boarding groups but they also have those dumb number stands to get them organized. I’d much rather travel with clearly defined groups like American rather than a jumbled mess. This Italian short comedy is one of my favs. The boarding process is totally like American’s, lol. I check in my bags (for free) every single time as I don’t want to deal with the monkey overhead bin rush. It’s worth the short wait at the arriving airport versus having to deal with all those folks being charged otherwise to check in their bag. Point is, make the first bag free for everyone and it will make flying much better for everyone! Then there are those who want to be on the plane first to show off their “status” vs the “commoners”. Poor egocentric bastards, we all know our employees pay for the business class tickets anyways and not us. I just flew DL through ATL and was impressed at how efficient the boarding was with the designated lanes (we had an outstanding, sassy gate agent who kindly but firmly kept everyone in check, which probably helped). Often to torture myself I will read airlines’ Twitter feeds to see what people are complaining about, and for @AmericanAir a recurring theme is “I’m supposed to have priority boarding but instead I’m in group 3/4/5” and AA has to explain that it’s still priority boarding. FWIW, I am ever-so-slightly hard of hearing, especially with voices over a PA system (especially especially from speakers for whom English may not be a first language), and the one thing I wish is that more airlines/airports used the screens to indicate which group is boarding. AA at DCA is pretty good about this. I believe the airlines should allow one free checked bag and start charging for a carry on. It’s people “nesting” with all the junk they are hauling onto the plane to avoid a checked bag charge that mostly makes it take so long to board! Also, if they additionally boarded from the back of the plane forward, passengers wouldn’t be held up in the isles by all of the people nesting. Southwest has by far the most groups; each group is made to queue up in a pretty orderly system, which is the thing that makes it work. Essentially, there are groups of 5 for however many people are on the plane (A1-5; A6-10; A11-15…etc etc). However it’s kind of annoying and humiliating to queue up like that. Sort of publicly shames those in back. So now SW lets you buy your way right to the front. Genius! Simple solution is dont have boarding groups. Let elites choose their seats. In the choosing seats section of the website say allow your group 3 to choose seats from 20-25, group 4 seats from 25 -30 all the way down to group 9. If people with different levels are travelling together they can choose seats together in the least category in the group or sit separate. Once the privilege has been given during seat selection just do boarding by row numbers starting at First, Business, Premium Economy and down. They can also do what’s done on smaller regional jets, and just make everyone gate check their bags. Just do away with overhead bins entirely. Who knows, they may even be able to stick some more seats up there. All of this through two lines. Simple! 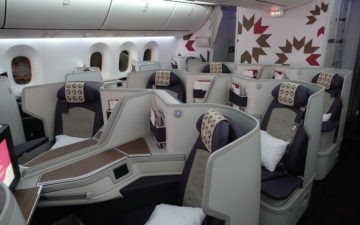 Group 2: Business class and second-top tier elites (oneworld sapphire). ConciergeKey? Group 1. Flying J with no F on the aircraft? Group 2, straight away. As a reminder, the best way to ensure that boarding is as fast as possible is by randomising instead of forcing boarding by rows (this has been statistically proven), so the fact that the bulk of the passengers board in the same group (4) doesn’t really matter. My favorite are regional flights, like an E145. Its literally one sentence with no breaks. Theres 32 of us gang. we dont all need our own group. I’m flying basic economy today sitting in 28B 🙁 but since I am group 5 for having citi advantage I am confident when I get to the back of the plane there will still be plenty of overhead. I think Delta and Southwest have the best system, aside from mine. What about doing it the old fashioned way– from the back of the plan forward? That is the quickest and most efficient way of boarding with minimal aisle blockage. Another option to really speed the boarding process would be to invert the baggage fees– charge for overhead bin bags and free checked in bags. Suddenly passengers will embark / disembark much quicker. I find there almost never anyone in group 2. I am always group 3 (gold) I guess not many Plat Pros out there as if you go that much your probably get exec. I think I can answer the question about why there are so many boarding groups, by quoting a January 2017 article by one of my favorite bloggers, some guy named Lucky or maybe Ben? As Gold, you should be boarding with Group 4, not Group 3. Here we see why the system fails… because numbers are hard. You are actually right that UA lumps those 6 “groups” into “pre-boarding”, but I am not sure why you think i that’s funny or disingenuous. It is actually a real solution that has considerably streamlined the boarding process for UA. The reason it made sense to lump folks in those 6 categories into ‘pre-boarding’ is that took care of people who might slow down the process, took care of very top elites, it honored our military, and there were usually not that many people to pre-board. The end result is that it actually achieved some efficiency! @DCS Maybe you don’t fly out of UA hubs very often. I’m typically on flights where there are now 50+ people in the pre-boarding groups for domestic hub-hub flights, with another 50+ people in group 1. There’s no place for pre-boarders to congregate, and at some airports the only access to the gate is through the two roped off lines. This leads to a lot of chaos and shoving during the pre-board period. Maybe the real question is why do people carry on so much stuff? Eliminate checked bag fees and some of the gate crowding issue and slow boarding goes away. Maybe spacesaver bins will help. Also, improve baggage handling so people have a higher level of confidence that their bag will arrive with them. The statistics on mishandled bags seem to indicate that this rarely happens but it has only to happen once to leave a lasting fear. And if it is misplaced for days or forever, one never gets reimbursed properly and made whole again no matter how good your card protection is, travel insurance or the airlines own special way of calculating your loss and damages. Under the current climate, the current boarding chaos is predictable and probably not easily solved. 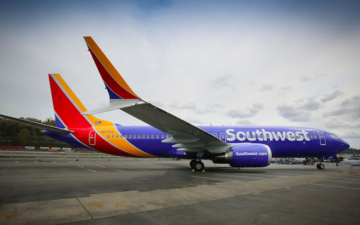 @Mike: Randomizing is pretty efficient–which is why Southwest doesn’t have assigned seats, of course. But it’s not optimal. @Zymm — I’ve been recently flying out of EWR, but even when I fly out LGA as I usually do for convenience, I am invariably heading over to a UA hub (usually ORD). What’s more, most of my flights are international. Since UA instituted their current boarding process, I have simply not seen 50+ pre-boarders or even the type of unruly congregation that one used to see in the past. So, “There’s no place for pre-boarders to congregate” precisely because people are not supposed to congregate! They need to remain seated until called, although it is common for top elites to begin filling lane 1 when it gets closer to boarding time. When I was down under last year I had the opportunity to fly on Jet Star and Air New Zealand. The boarding process was incredibly simple and surprisingly organized. Rows 1-15 formed a neat orderly line to board from the front of the plane via the jetway and rows 16-30 did the same but boarded from the back of the plane. No one was crowding the gate or pushing and shoving to get on the plane. @DCS Maybe it’s an SFO thing (IAD is also not great, mainly because of the gate setups). The upgrade lists on my flights are routinely 100+ and I’ve been using that as an indication of how boarding is going to go. The last time I was on an SFO-ORD flight boarding was delayed quite a bit and I counted a good chunk of pre-boards, so that’s where my 50+ numbers are coming from. 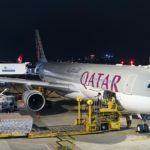 It’s also a route where you get international configured widebody aircraft, and with the increased capacity you get longer lines and bigger crowds. I’m happy to concede that ORD is usually much better. If it’s only a problem at SFO, maybe it would make sense to change the gate setup so there’s a pre-boarding area just at SFO. I’ve seen this in Tokyo and it seems to work well. AA is the worst airline I have ever travelled on and my number 1 on the worst airlines. This is coming from someone who has actually flown on Air Koryo! I don’t believe anyone on here saying there is no bin space left in group 4. Maybe your bag needs to go a row or two up or back, but there IS space. If you’re group 4 your are likely gold and all the other elites got to the MCE row before you. In the event that there is no space I move peoples stuff around that isn’t a roll a board because it shouldn’t be up there unless everyones boarded and theres still space. This usually causes them to freak out because its a laptop bag or something that should be in the seat in front of them, and I let them know that to their face. I don’t care what your status is, you get one item on top and the rest below your seat. 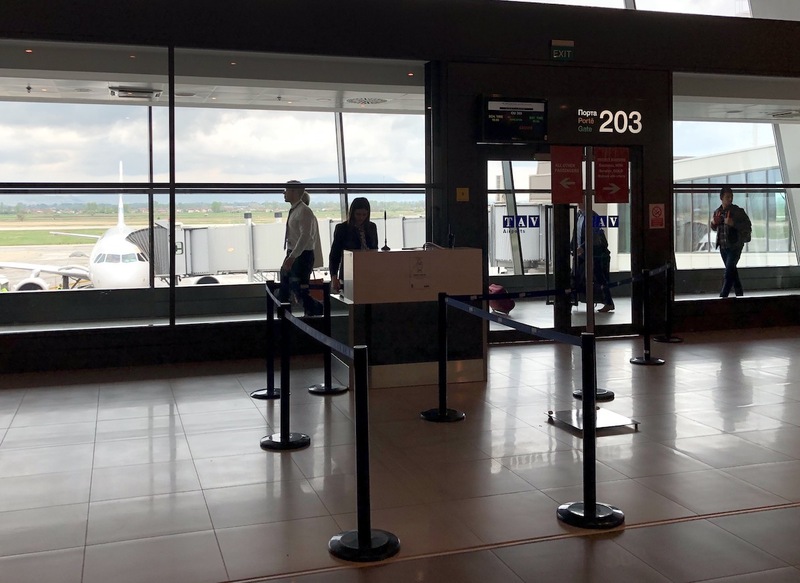 Recently traveled a lot on Latam and Aerolineas Argentinas… boarding by sections starting with the rear of the aircraft and boarding by seat (window, middle, aisle) with lines before boarding. Both types of boarding went very fast. @Zymm — It could well be a SFO thing, as the airport is generally known to be top elite-heavy. How about charging $25 per carry on and first checked bag free? That will speed up the boarding process. Remember the days when they don’t charge checked bags? Boarding was so much easier then. The fight for overhead bin space is what drives the jockeying around the gate and the whole “lice” phenomenon. This is because nobody wants to check a bag on American, even when it’s free to do at the gate. Why? Because compared to the other US carriers, American is absolutely *terrible* at timely baggage delivery. At their hub airports you are almost guaranteed a minimum 30-minute wait in front of a motionless carousel. I’m not sure the root causes – understaffed baggage handling, priority given to connecting bags, or some combination thereof – but it’s been awful for as long as I can remember. At my home airport (LAX), Delta, United and Alaska routinely have bags waiting for you on the carousel when you come down the escalator. American, for some reason, cannot manage to do the same. Fly enough with them and you develop an almost instinctive phobia of having your bag checked. I actually really like many boarding groups. People who fly (and spend) more should be able to board earlier. To be honest, I’d create more groups to differentiate even more. Most importantly however is that group boarding is correctly enforced and that IT supports gate agents! Does a senior citizen flying with AA with a basic economy ticket still have to board last? Last summer I was flying with BA out of LHR and DL out of FCO and both times they had a gate agent checking everyones boarding pass before they can even begin to line up. They were just checking to see what group you were in, and to make sure you weren’t “cutting the order.” It caused commotion at both airports, but boarding was only delayed at LHR (or maybe it was just BA thing ;)) . Not sure if that’s how they do it at all European airports, but I still think that the US way was better compared to what I witnessed at LHR and FCO. As Zimm has pointed out United now lumps 6 boarding groups into one with no lanes and pre-boarding is consistently a complete cluster f**k. In my home airport of SAN there can easily be 20 members of the military on a flight. Then sometimes 10-15 1Ks. That is a mess of people hovering around and not in a line before adding in multiple families and strollers and then the wheelchairs. There need to be real lines for each group. As has been stated here, everyone is elite now by one way or another. As a lifetime 1K, I have given up on being upgraded. If I want First, I buy it. In today’s world, I am often able to buy Domestic First for a few dollars more than Economy either with advance purchase P fares or even last minute when UA decides it’s better to get $99.00 more for the first class seat than give it to the next 1K on the list. International? That’s what miles are for. It’s called BAGS PAY FEES TO FLY IN THE HOLD. Grandma is not going to get run over at the gate by some businessperson the age of her grandsons and get her place for a bag stolen. “In most of the world, boarding is relatively straightforward.” Simple. People check their bags (especially grandmas) because it’s free. How many groups does “BAGS FLY FREE” Southwest? Also, how long does it take to board and deplane from an airlines where BAGS FLY FREE vs. one where they don’t? In total agreement with Howard. Charge for overhead and make baggage underneath free. Truth be told, I’m just glad AA calls CKs up first. Whether the upgrade comes through or not or whether I’m sitting in the front or back, I know I’ve got a little time to get settled in the cabin. Other than a cart waiting when connections are tight, it’s one of the main things I enjoy about CK. Well, that and the CK events where you get to give a hard verbal poke to Parker and Isom about the job they’re doing. US gate agents exercise zero crowd control. I wish for one day and I would be the strict yet polite enforcer. In the larger airports of Europe and Asia they do it and I love it. There is no doubt where you belong. And especially in Madrid they dont allow gate crowds and rushing for international flights. They shoo people away. While I rarely fly Southwest I find their easy to understand assignment posts to work great! I fly first with AA more than any other airline and i appreciate the priority lane for groups 1-4. I’d personally rather be 1 or 30 for (GROUP 5) than 1 of 130 especially if no number of any kind were associated. Wouldn’t that be like survival of the fastest, quickest, cleverest? As a deaf person, they let me in with first class. I can’t understand what’s said over the PA. The best gate control I saw is HKG. The gate agents aren’t shy to tell you where to stand. I love it because everything seem to flow easy. YouTube key and peele boarding group 1. @prabuddha one of the main reasons I choose not to fly Southwest is because I like to know my seat ahead of time. I’d seriously consider dropping AA EP status and fly another airline if they went to “first come, first serve” seating. And to those saying people would check bags if they’re free: maybe the infrequent leisure travelers might, but there’s no way I’m checking a bag for my 100+ domestic flights for business trips and waiting 30 minutes each time for my bag. That’s 50 hours – more than an entire work week – of waiting at a conveyor belt. The real problem is how selfish and dishonest people are. Just stand at any gate and watch the boarding process. There were 12 people boarding Group 1 on an A319, which only has 8 first class seats. None were military from what I saw. Next group 2 boarded with 3 people. The problem there was I’m platinum and the next one on the upgrade list. In fact there were only 3 of us total on the upgrade list and this was a flight under 500 miles. Even Gold get upgraded for free. There were 5 of us boarding this group. I noticed the person in front of me have a group 8 on their boarding pass. The problem isn’t totally on American, the problem is the lack of honesty. I will give some gate agents credit. If they pull out someone boarding in group 1 which has a higher group number then the process seems to go a lot smoother. On the way back from LAX in terminal 4, a woman got pulled off to the side after trying to board with group one. The agent said in a load voice “You are in group 6 we are boarding group 1 at this time” she then directed the lady towards the ticket counter. Two other people bolted from the line as well. It was amusing to watch as I waited for my delayed flight. Crowding around the gate prior to boarding drives the agents crazy….they have a name for those people…”Gate Leeches”. Talk to a flight attendant staffing a narrow body aircraft and you’ll hear another annoying result. Premium cabin boards, all 12 or 16 or so. For the next ten minutes the aisle is blocked while these folks get their iPads, laptops and other items out and then start jamming the overheads. Can’t be helped. Here’s where it get’s interesting. One, probably more, of those that glued themselves to the gate priority lane will try to use the forward lavatory. The flight deck door is open and blocking access to the lav. The flight attendants are trying to perform a pre-departure service, might be a mechanic with the log book close by, There are economy passengers trying to board. Recommendation: Bound to be a toilet near your gate. Use it. > What about doing it the old fashioned way– from the back of the plan forward? That is the quickest and most efficient way of boarding with minimal aisle blockage. On the contrary, this traditional way is the *most inefficient* mechanism. Specifically, the problem is that the people at the back of the plane drop their carryons in the bins at the front of the cabin, causing a cascade effect as soon as the first passenger (usually about 40% of the way from the front) has to put a bag in a bin behind his seat. Then you get the aisle gridlock as people try to move back and forth on increasingly longer treks, not to mention the same at deplaning. Instead, each cabin should board from the front back. Why make it difficult, when you can make it impossible?